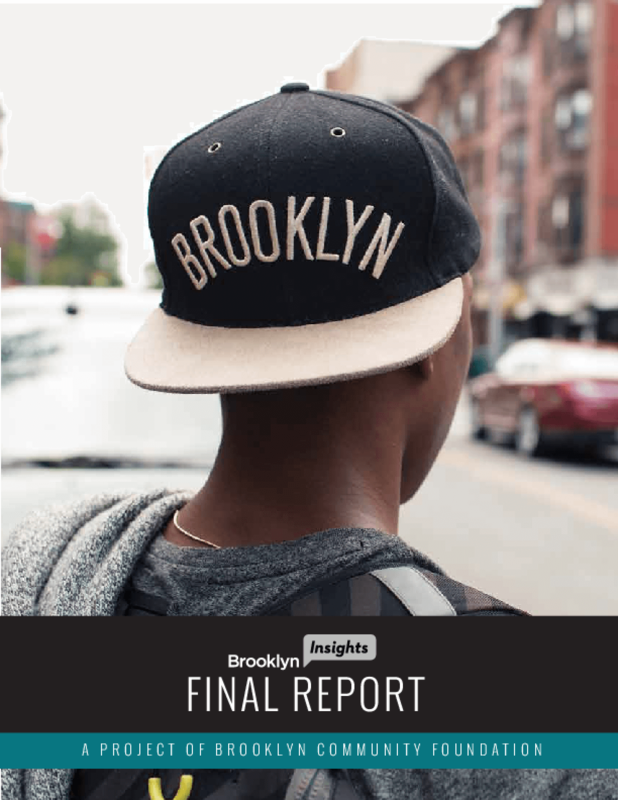 This report documents the findings from conversations with nearly 1,000 residents, advocates, and leaders to discuss Brooklyn's future, and to put their voices and ideas at the forefront of our work. From the bustling sidewalks of Sunset Park, to the lush gardens and farms of East New York, to the vibrant neighborhood blocks beyond the boardwalk in Coney Island, the Brooklyn Community Foundation learned about the intense challenges facing residents, and the opportunities they see for bettering their lives. Over six months, we discovered more than we ever imagined, and repeatedly heard about five major themes that thread through all of our communities. Copyright 2014 Brooklyn Community Foundation.